Island Performer at the quayside in Horten. FMC Technologies fourth spread for Riserless Lightweight Well Intervention, commonly referred to as RLWI Stack 4, is mobilized onboard the Island Performer in the Gulf of Mexico this autumn. This is our third generation RLWI system and is designed for operations down to 2000 meter and with built-in possibility for operation in even deeper water. RLWI is a tool which enables wireline operations on subsea wells without a workover riser to surface. The technology is based on sluicing wireline tools into the well from a Lubricator located subsea. The Lubricator is, together with a Well Control Package (WCP) and a Pressure Control Head (PCH), part of the RLWI Stack locked to the XT during well intervention. Currently the limiting factor with respect to water depth is the umbilical design where manufacturing capacity for certain components are limited to slightly above 2000 meters. Alternative umbilical designs are available but there is always a trade-off between umbilical length and capacity. Building a longer umbilical would impact operational efficiency on shallow water wells due to reduced flow capacity and thereby more time spent on critical path for flushing and pressure testing. 96% of all subsea wells (Quest Subsea Database February 2015) are within reach of RLWI Stack 4. Traditionally workover systems for subsea wells are controlled and powered from the surface through an electro-hydraulic workover umbilical. The brain in the system is an IWOCS container. The IWOCS also provides hydraulic supply to the workover stack at correct pressure levels. There is usually a combination of direct hydraulic functions and multiplexed hydraulic functions operated through a subsea control module. Traditional design has several challenges when the water depth increases. The most significant one is related to the robustness and strength of an electro-hydraulic umbilical. With a traditional workover system the umbilical can be clamped to the workover riser, this option is not available with a riserless system. The electro-hydraulic umbilical usually has a large diameter and will be exposed to a substantial amount of drag through the water column if current is present. FMC Technologies has three generations of RLWI stacks in operation. The first unit (MK I) is a conventional design with a topside control unit and an electrohydraulic umbilical. As part of a long term strategy of providing a reliable and efficient RLWI service we reviewed the experience from MK I and looked towards ROV technology for the 2nd generation of RLWI stacks. 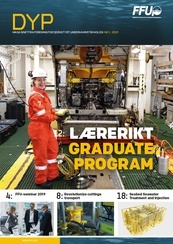 In 2009 we had two stacks ready with ROV-style umbilicals and closed loop hydraulics subsea. We decided for the MK II stacks to use two umbilicals - one for power and communication and one for MEG supply. MEG is used during a RLWI operation for hydrate prevention and for flushing hydrocarbons back to the well and seawater out to the environment. The MK II stacks are integrated onboard Island Constructor and Island Wellserver. The Island Constructor completed the 7th season West of Shetland this September as the only RLWI vessel able to operate in the area. West of Shetland is an area with very high and multidirectional currents. The currents are also to some extend random and unpredictable. We don't consider our MK I system to be a realistic option for work in this area. On the Stack 4 we have managed to merge all required functions into one umbilical while maintaining the ROV-style design used on MK II. The umbilical has a core with a 3/4" 10K hose and power conductors and tubes with fiber optics located in a circumference around the core. We have managed to keep the best parts of the MK II umbilical design while reducing the number of umbilicals from two to one. A ROV-style umbilical design has implications for the arrangement on the subsea stack. 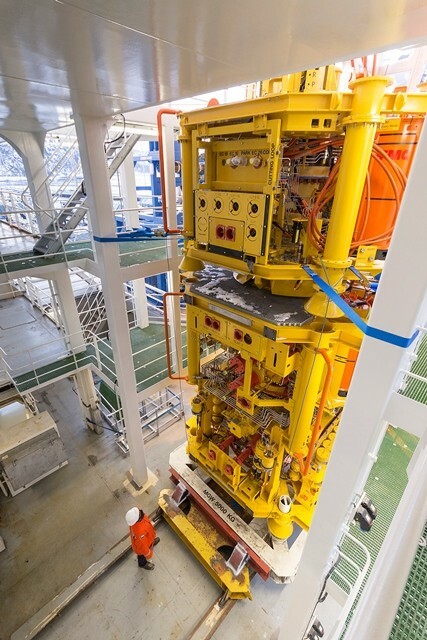 Valves and connectors on the stack and XT are operated from closed loop hydraulic circuits subsea complete with pumps, reservoirs, accumulators and control valves. Grease supply to seal around the wireline is provided from subsea grease pumps and subsea grease reservoirs. After several vessel years with a new umbilical design we see several benefits in addition to increased robustness. Communication is moved from copper cables and signal on power to fiber-optics. 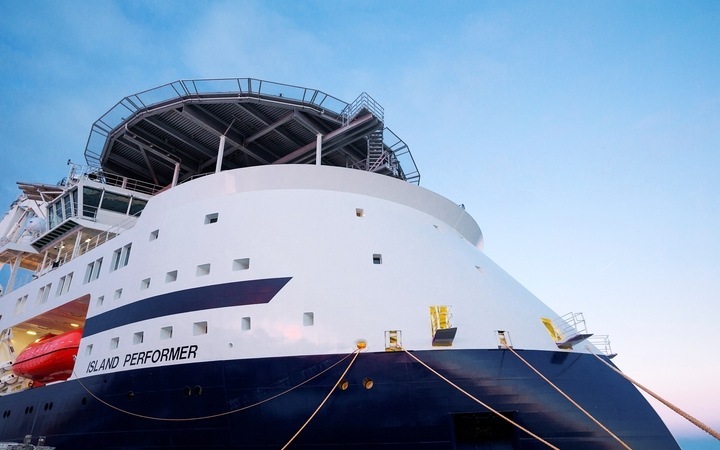 Hence there are high capacity Ethernet connections between vessel and subsea. The response time in the hydraulic system and grease injection system have improved significantly. The full potential of the subsea control system is however not fully exploited and we expect to see additional benefits of the system when we start operations in really deep water with RLWI Stack 4.